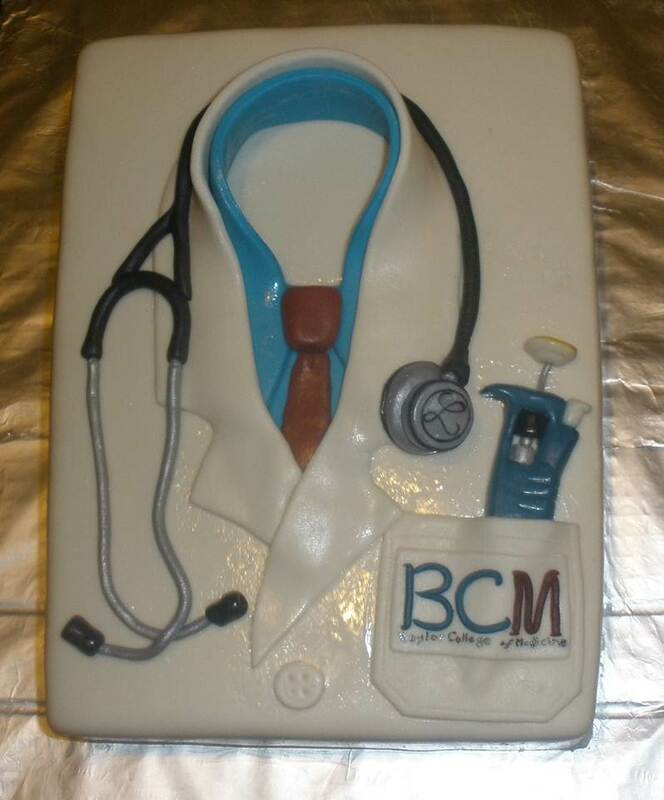 ﻿This was a cake for a party with the MD/PhD program at Baylor College of Medicine. A white coat, stethoscope to represent the medical side and a pipetman to represent the research side of the program. This had a lot of little details but was fun to execute.